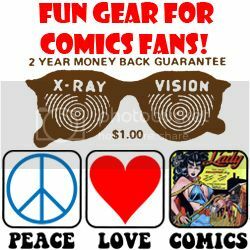 Comic strips have a long—and only sometimes honorable—tradition of being used to further the popularity of another type of merchandise. (Did you think Buster Brown and Mary Jane sold all those shoes by accident?) But few cartoonists have found themselves between the Scylla of art and the Charybdis of commerce the way Jim Meddick did. Brought onto Robotman as a hired hand who would play a role in increasing the sales of a child’s toy, Meddick spent years finding his own voice on the strip. Today, the comic strip is the sole vestige of what was intended to be but a cog in a merchandising juggernaut, which included phonograph records, plush toys, animated cartoons and books, and the result for Meddick is a newfound creative freedom. The Robotman toy may not have taken off as its originators foresaw, but the cartooning world became the eventual beneficiary.